So a short while ago I posted about some Mexican issued Topps cards from the mid 70's. Part of that post mentioned that some Planet Of The Apes cards were known (but not seen) and that such set likely was hawking the TV show, not the movies. Well thanks to Friend o'the Archive Scott Gaynor we now have more details on this set and a related, even more interesting set (or two)! Scott's take on the POTA cards is that they came from an executive the Topps plant in Duryea (where have I heard that before?!) and he only had a couple of sets, since sold off (about 16 years ago now) and no scans or pictures. So I'm still looking for more details on that particular issue. OK, the big question of course is whether or not the stamp set is the same thing as the card set Scott remembers. 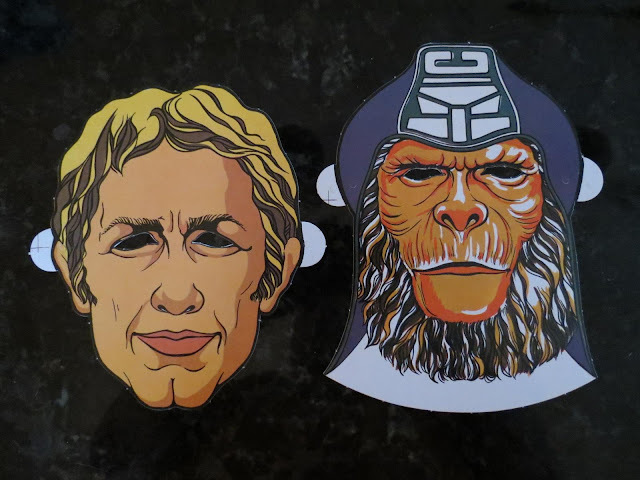 I have a another question in mind as well, namely did Topps ever produce a US version of these masks? I hope so because I'm thinking a US version would be a lot easier to track down than the Mexican examples. Those masks are really quite nice! Topps would often release a set or two of Monster themed products around Hallowe'en every year. They had briefly issued a product called Trick or Treat Bubble Gum around 1950 but it wasn't until the end of that decade that Monsters started showing up on a regular basis with the introduction of You'll Die Laughing. Those cards and other similar stickers,tattoos and novelties were a staple of many a Hallowe'en well into the early 1980's and card and sticker overstock was often recycled in Fun Packs in years where a fresh set was not issued. I recall getting two "funny monster" card cello packs with gum on Hallowe'en in the early 70's and Topps easily got another ten years out of the theme. However, there is one Monster set that doesn't seem to be tied to Hallowe'en and it's 1974-75's Monster Tattoo. 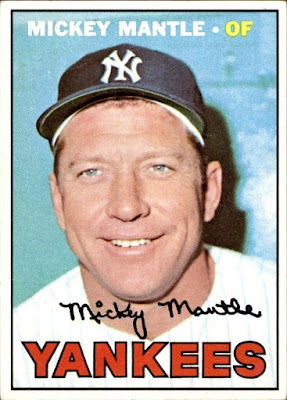 Harkening back to a classic 1962 issue (Monster Tatoo), Topps revived the vegetable dye wrapper interior classic with a modern touch. Consisting of two 30 subject series (Topps helpfully numbered each wrapper) these followed on the heels of a similar Wacky Packages Tattoo series of 1973-74. 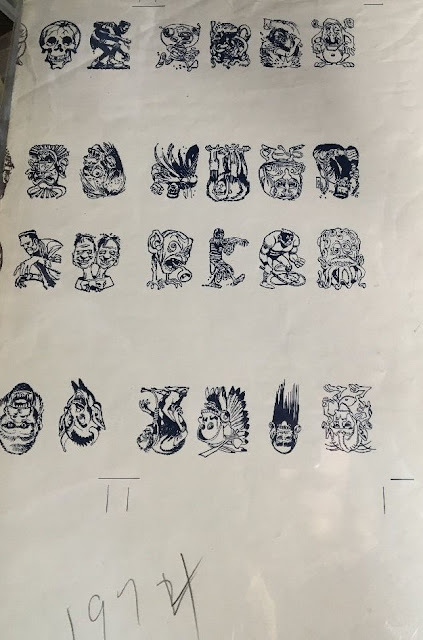 The Wacky tats sold for two cents and it's presumed the Monster Tattoos did as well (I have not seen a box). I nicked those images above from www.wacky-packages.net by the way. They look just about ready to go to print at that point, no? 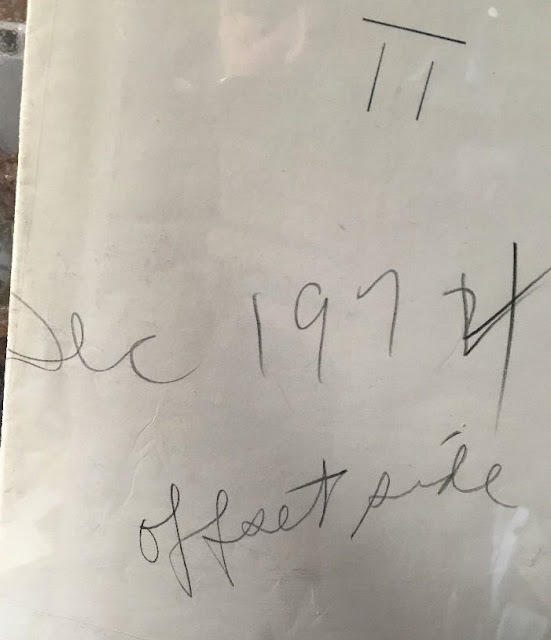 That last bit is interesting as it looks like a 2 was changed to a 4 (although I think the 2 is just a check mark) but the real fun is the "Dec" notation. I'm not sure why a Monster set was being prepared for a winter release but the relative scarcity of examples makes it likely sales were poor. The Wacky Packages Tattoos are not that easy to find either but these seem more difficult. Did Jack Davis do all his artwork on couple of sheets and draw his own registration marks?! These are popular; monster themed sets certainly draw a crowd! It's spring, baseball is in the air and your blogmaster is knee deep in outside world problems at the moment, so hang on for what may be a brief run of lighter posts until my schedule sorts out a little bit. I thought today I'd just show some favorite cards of mine and after I picked out the first three realized I was in Terry Cashman territory and decided to just run with it. 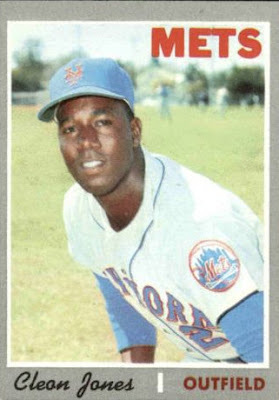 My obsession with baseball began in the summer of 1969, when the Mets were making their run to the most improbable of outcomes and I can still remember watching on the black & white Zenith TV in our living room as Cleon Jones secured the final out in Game 5 of the World Series. The next four seasons were prime ones in terms of sucking up everything I could about the game. 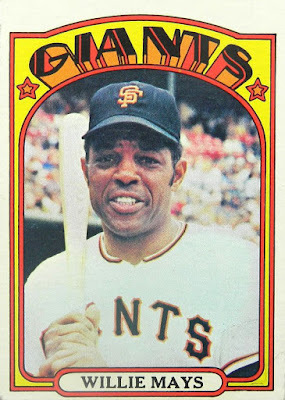 The Mets landed Willie Mays in 1972 and of course this was the biggest thing in the world. The two hugest names in baseball, at least to me at the time, among the non-Mets of the planet were Hank Aaron and Willie Mays. Having one of them come to my team was just fantastic, although I did not grasp at the time just how close to the end of his career Willie was. Rounding into form as the nerd I would eventually become, the New York Times Book Review led me to Roger Kahn's The Boys of Summer (still my favorite baseball book) in the winter of 1972-73 and a further obsession with the Brooklyn Dodgers, a team I never saw play as they had left town four years before I was born. They were my dad's team though and he knew their history as well as anyone. 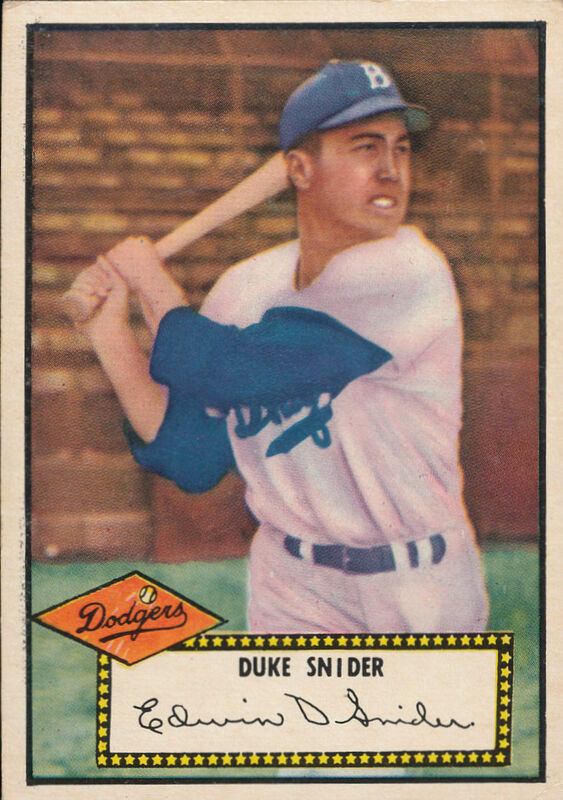 I found the Duke Snider story particularly moving, although in later years realized that perhaps the Duke's failed avocado farm was not quite the earth shattering disaster Roger Kahn made it out to be. A couple of years later a friend gave me a paperback copy of Jim Bouton's Ball Four and I marveled at the antics of one Mickey Charles Mantle within. 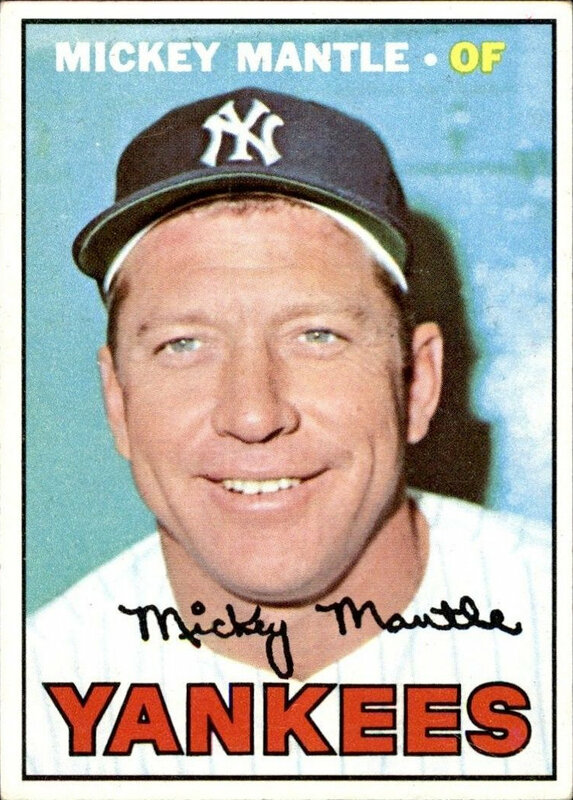 I'm not sure if it's the slightly blurry, pastel background (I'm a sucker for those in the 52 set), the follow through pose (not a common one) or maybe the backdrop of the Ebbets Field stands but for some reason this is my favorite card of the Silver Fox and one of the first cards I picked up upon re-entering the hobby in 1981. 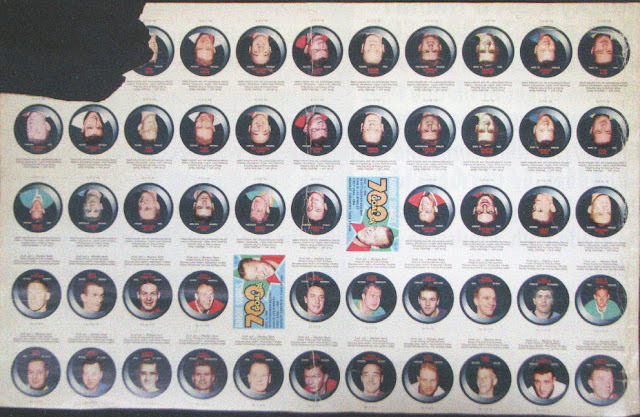 So I was perusing the Mile High catalog for the March 10th auction the other day and noted a neat partial uncut sheet within, for the 1968-69 O-Pee-Chee Push Out Stickers. I went to the website to grab a scan but the lot (#600) appears to have been withdrawn. So I scanned the catalog image instead since it's such an interesting piece, which I will get to momentarily. That is definitely a partial sheet. There is no bottom gutter and it's clearly hand cut down there. As the stickers are standard sized, my guess is at least a 66 card sheet was made of them, if not the ubiquitous 132/264 array. A 44 sticker partial also exists. It's too bad more sheets don't exist. More used to but many have been cut up for grading over the past couple of decades. I prefer 'em like my Blu-Rays: uncut! Where Have You Gone Dom DiMaggio? 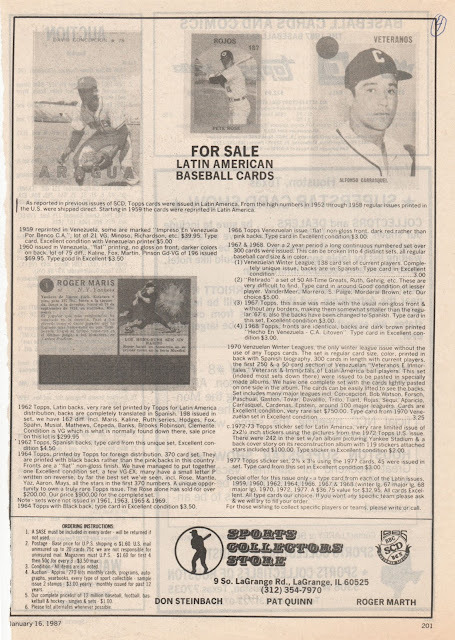 I've dabbled over the years in researching the Baseball issues Topps licensed and/or printed from 1959-68 in Venezuela but even with a lot of digging not much information is available. 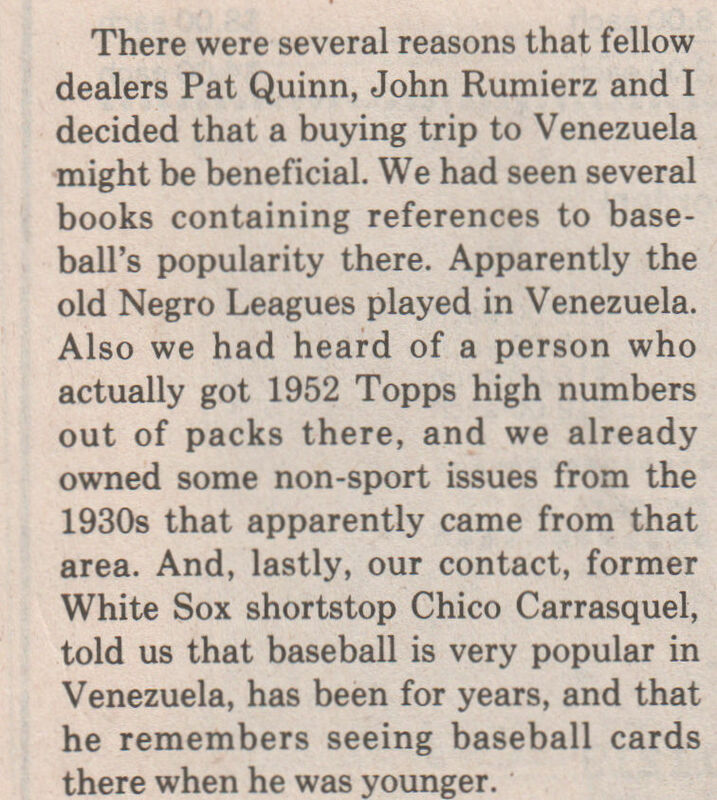 One large bit of information I overlooked though, relates to distribution of Topps baseball cards prior to 1959. I warn you, some foreknowledge of the subject is helpful as you read along. 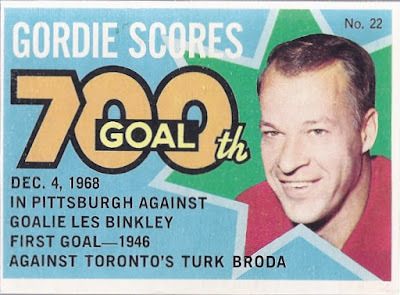 While I'm particularly interested in the 1952 high number distribution, the big takeaway is how Topps was getting rid of some excess stock and returns for most of the 1950's. Venezuela was (and is) baseball mad and the fact their Winter League season began a little after the end of the MLB season each year before a January tournament-style to crown a champion occurred, was a happy little development I'm sure when it came time for the excess Topps baseball cards to be dumped. Topps would have had to have a hand in the design of the Venezuelan album, don't you think? Back to our blurb. The ultimate fate of the 1952 high numbers seems to be a bit of a mixed bag. Sy Berger of course alleged a garbage scow dumped all remaining stock in the Atlantic Bight in 1960 following years of effort to unload them on "carnivals"; there's evidence some went to PX stores at US Military bases; and it seems Canada got them on both coasts, with possible leeching in the west down into the Seattle area. In addition, we have a Venezuelan connection as described above and let's not forget the Card Collectors Company, which seems to have regained their stock of highs (last seen in their 1958 catalogs) starting around 1960, which totally dovetails with the alleged dumping at sea. The Shorin family was very comfortable dealing with Latin and South American interests due to the family tobacco business founded by their father Morris, first as an individual entrepreneur in the 1890's and following that, for thirty years starting in 1908 as the American Leaf Tobacco Company. The 1959 Venezuelan cards were printed by Industrias Benco, who are identified on some card backs that year. 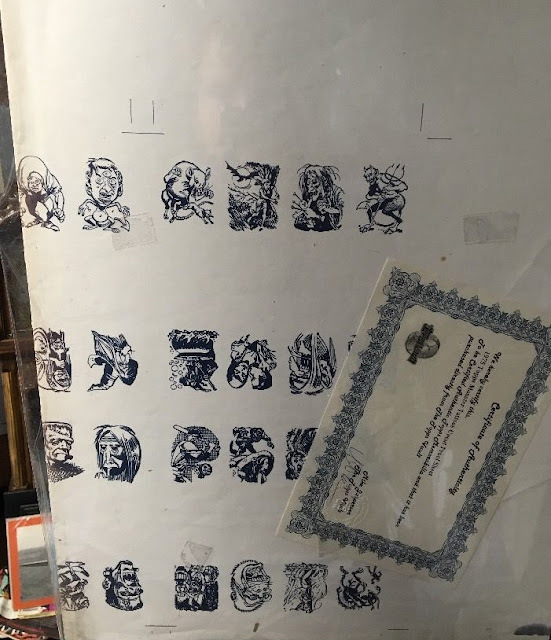 Some later issues (although not 1962) show evidence of being printed in the US and the final set of cards issued in 1968 were made by a Venezuelan printer called Litoven. Any local print work would have been done in Caracas. Benco was acquired by the Beatrice Foods conglomerate in the mid 1960's and they were quite involved in snack foods and confections at the same time the Topps cards were being sold. 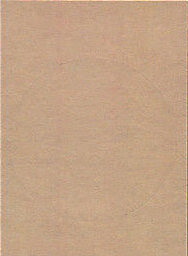 Beatrice also acquired a distributor in Caracas called Distribuidor Marsanita around the same time. 1) Who printed the Venezuelan cards in the US in the years after 1959? I can't believe it was the usual Topps printers of the time (Zabel Brothers, A. Hoen, Chromographic Press, or Stecher-Traung) as they did fairly high quality work and the Vennies are usually not up to snuff when compared to the US issues. 2) What was the relationship between Topps and Litoven? 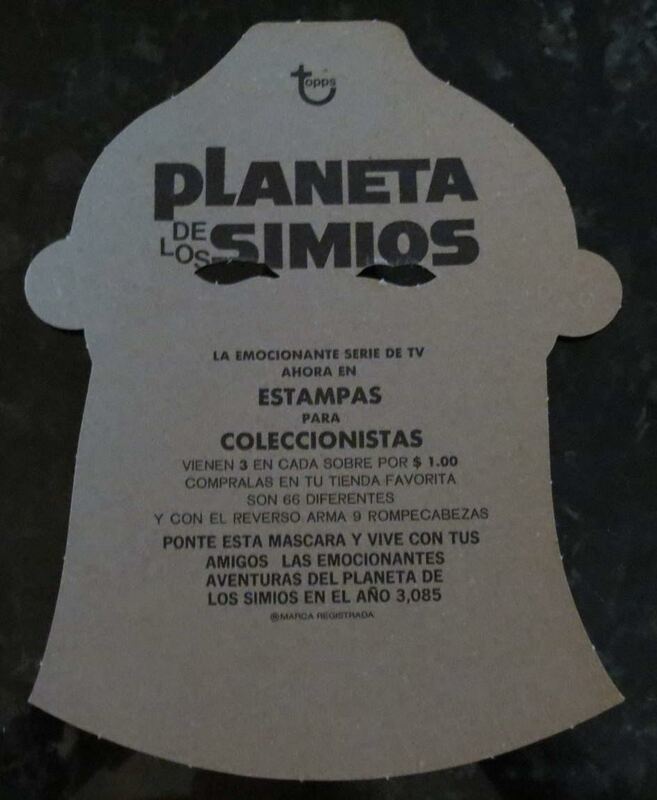 3) Did Distribuidor Marsanita handle the Topps Venezuelan cards? 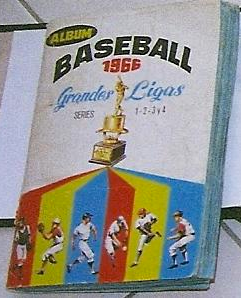 4) And what of the mysterious 1967 MLB/VWL/Retirado issue that does not conform to the standard look of Topps cards during the Venezuelan run? 5) How many 1952 highs made it to Venezuela? 6) What kind of idiot carnival owner would agree to take on old baseball cards as prizes anyway? 7) How did Card Collectors Company restock their 1952 high numbers in 1960? 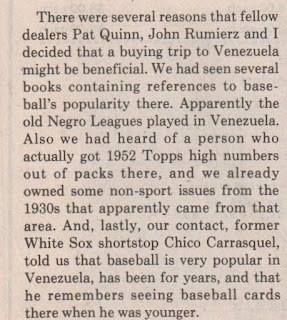 That last question is relevant specifically to Sy's barge story I think and the Venezuelan Topps story in general. The Card Collectors Company (which sold off Topps overstock and returns from about 1955 onwards and was first run by Woody Gelman's stepfather Sam Rosen until his death in 1958--when Woody took over), was out of 52 highs by the time their March 1959 catalog came out. In a July 1958 price list, put out by Rosen, the highs were a dime apiece, compared to three or five cents for the lower numbers. So sometime between 1958 and 1959 Card Collectors Co. ran out of their original 1952 high number stock. 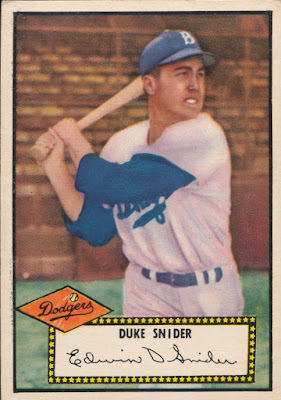 The 1960 ACC, which had Woody Gelman's input on "R" cards, listed the 52 highs at thirty cents apiece. I don't have scans or copies of catalogs from 1960 or 61 but in the March 1, 1962 catalog and through at least early 1968 CCC offered the highs at a dollar apiece in every catalog, vs either ten or fifteen cents for the lows. 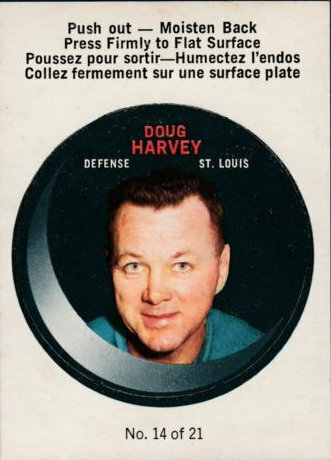 I find it a big coincidence that the Berger barge dumped the excess 1952 Topps high number inventory just around the time CCC restocked theirs. From what I have seen when it comes to Topps, there are zero coincidences on product that entered either the wholesale or retail distribution chains or the hobby directly. So let's hope more turns up on Venezuela. I'm also hoping for more details to be revealed on the operations of Topps in Mexico but that is a ways off as it's even harder to find information on that than it is on their Venezuelan operations.